Without the proper knowledge, skills, and equipment, it can be very difficult to keep your air conditioner in the best condition possible. When your AC unit begins to fail or operate inefficiently, conducting repairs yourself can seem like an extremely daunting task. 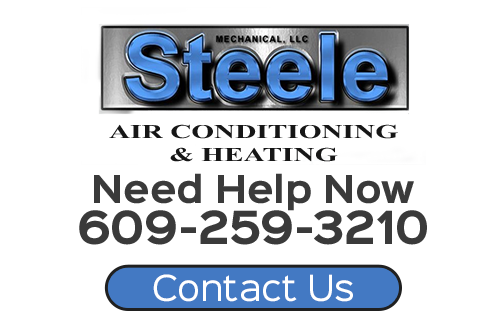 At Steele Mechanical, LLC Air Conditioning and Heating, our air conditioning company is here to provide you with reliable air conditioning repairs in New Jersey. With our help, routine AC maintenance and emergency repairs will be as easy as making a phone call. 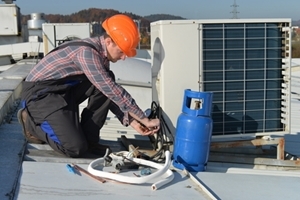 Our professionals have over twenty-five years of experience in the HVAC industry. As such, we can identify and repair any issue that is affecting your air conditioner. If your air conditioner is faulty, unreliable, or inefficient, call Steele Mechanical, LLC Air Conditioning and Heating today. Our New Jersey AC service technicians are ready to assist you in any way that we can. We can schedule your appointment for air conditioning services in New Jersey today. When you hire our professionals, you can feel confident knowing that we will provide you with the most exceptional repair services possible. When we conduct repairs on an AC unit, our team members consider themselves to be home comfort doctors. We will identify every issue with your air conditioner. Afterwards, we will prescribe the best means to resolve all of the problems. Our repairs will be the treatment that restores your air conditioner to the best possible operation. You are guaranteed to be pleased with the results of our efforts. In the end, our main objective is to ensure that your air conditioner operates in the most efficient, effective, and reliable fashion. Our professionals will work their hardest in order to achieve all of these goals for you. In this way, our New Jersey air conditioning contractors can improve the performance of your system for you. After our air conditioning repairs, you can feel confident knowing that your unit is in the best condition possible. If you need air conditioning repairs in New Jersey, please call 609-259-3210 or complete our online request form.